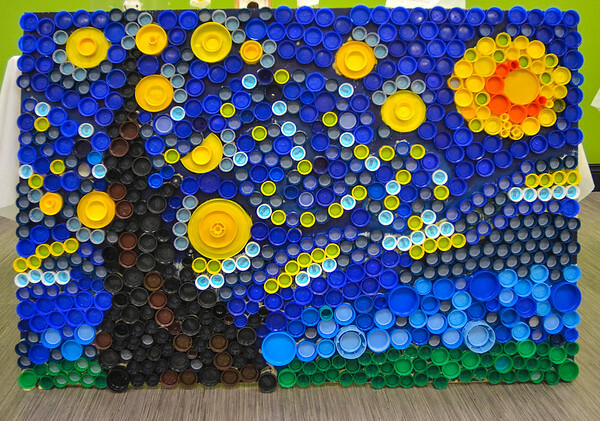 Sustainable starry night: The 2017 reTHink Art from Waste competition reception was held this Sunday at the Vigo County Public Library. The competition challenges students from all over the community to make a piece of art of a functional toy or decoration. Materials varied from milk cartons to bottlecaps and even computer parts. Whether it was a guitar made from a tissue box or a fooseball table made of clothes pins, the students in this year's competition were as creative as always.